Size: 32" x 32" x 72"34" x 34" x 72"36" x 36" x 72"38" x 38" x 72"30" x 30" x 72"
Give your bathroom a refreshed and modern look with the Aquadica GS completely frameless square enclosure with two-tier glass shelving system. Available in a number of width/depth dimensions - from 30" to 38" - the Aquadica GS easily fits into your corner allotment. 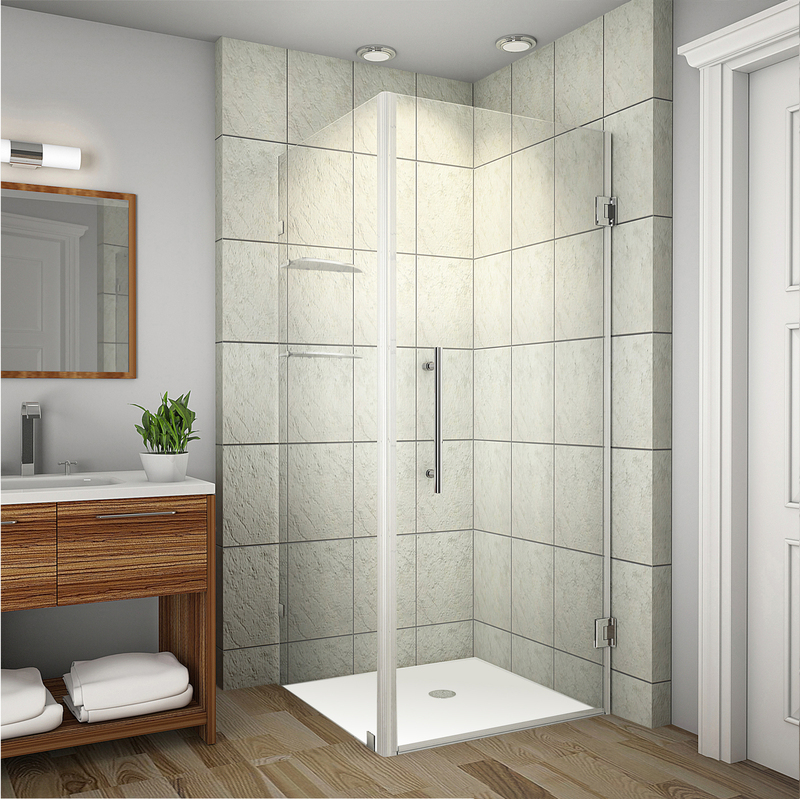 All models feature 10mm ANSI-certified clear tempered glass, stainless steel or chrome finish hardware, premium leak-seal clear strips and its entry hinge swinging door is engineered for reversible left or right hand installation. The GS class includes a two-tier glass shelving system. Shower Base [Pan] Not Available for this Model Collection.